The nearest international airport is in Calgary. International guests will need to clear customs and immigration when arriving in Calgary from foreign countries. 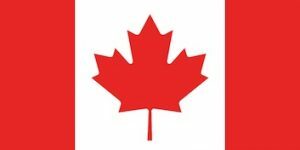 All visitors to Canada require a passport. We recommend staying in the Town of Banff or the nearby Town of Canmore before and after your ride. Flying to Calgary is easy thanks to the Calgary International Airport (YYC) which receives arrivals from all over the world. The airport is located in northeast Calgary, about 20 minutes from downtown in light traffic. Rental cars, taxis, limousines and airport shuttles are all available to take you to your final destination. YYC is serviced with direct flights by: Air Canada, West jet, Air Transat, Alaskan Airlines, United Airlines, Delta, American Airlines, British Airways, Lufthansa, Sunwing Air, Hainan Airlines and KLM with direct flights from most major cities in North America as well as Tokyo, London, Frankfurt, and Amsterdam. Common “hub airports” used to access Calgary in North America include: Los Angeles, San Franciso, Houston, Dallas, Denver, Minneapolis, Chicago, New York, Vancouver, Ottawa, Montreal, and Toronto. From any direction, the drive to Calgary offers good 4 lane roads and unforgettable scenery. The Queen Elizabeth II (QE2) Highway brings visitors from the south and north, stretching from the Montana border north to Edmonton and beyond. Travelers from other Canadian provinces generally arrive via the Trans-Canada Highway, which stretches from the West Coast of Canada to the East. 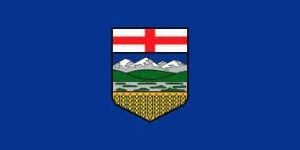 Calgary is about a two and a half hour drive from the U.S. border, three hours from Edmonton, six hours from Regina and a good 12 hours from Vancouver in fair weather. There are good and frequent shuttle bus services from the Calgary International Airport. Most will take you directly to your hotel in Banff. For Canmore, there is only one stop at the Coast Hotel and you will need to arrange your own transportation to your hotel. We recommend the Banff Airporter. From Calgary, the towns of Banff and Canmore are due west on the TransCanada highway (number 1). It will take about 60 to 75 minutes. Canmore is just outside of the Park. On the way to Banff, you will have to stop at the Park gates to purchase a park pass (unless you purchased your pass online in advance). You may park at the horse stables while you are on your ride (make sure your park pass is displayed in your car). Driving in Banff and Canmore can be challenging in the summer due to high traffic volumes. Here are some alternatives. Bus Service: There is a regional bus service both within and between the towns. The stables are near the Sundance Road stop on Route #4 (you can ask the bus driver to announce the stop for you). Visit Roam Transit for routes and schedules. Booking early is recommended for accommodations during the busy summer tourist season. These guides may help. If you wish to find something at a lower cost, the YWCA Banff Hotel or B&Bs are good alternatives. Trail Riders has arranged a 15% discount if you book with one of the hotels managed by the Banff Lodging Company. The discounted rate is valid for travel between June 20 – September 14, 2019. To receive discounted rates, all bookings must be made by June 1, 2019. All bookings are based on availability at time of booking. Minimum night stays may apply. Guests can book their individual reservations based on availability by calling 1-800-563-8764 and referencing “Trail Riders of the Canadian Rockies – Group # 2578378”.